Beverly Hills is one of the most luxurious destinations in the world. Recently the Beverly Hills Conference & Visitors Bureau (BHCVB) announced its new campaign: WELLTH, bringing wellness and health opportunities to locals and visitors. Kicking off the campaign was an expert panel including Supermodel and Actress Christie Brinkley and mindbodygreen founder Jason Wachob. Sitting on the rooftop of Alo Yoga on Canon Drive, Wachob led a the discussion of how one can attain health, purpose and happiness, while living a less materialistic lifestyle. 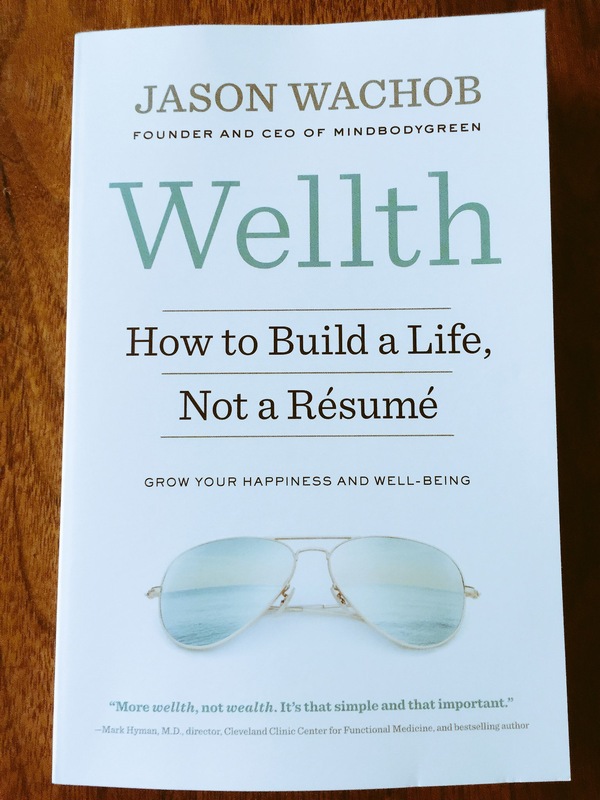 Jason Wachob is a WELLTH expert. His book is a guide to build a WELLTHY life. Carly Alyssa represented the MOVE movement, inspiring others to overcome life’s challenges through yoga. She is one of the teachers at Alo Yoga in Beverly Hills, a partner in providing the optimal space to gain WELLTH. “Movement is a lifestyle,” she said. Acclaimed chef Matthew Kenney represents the EAT pillar focusing on innovative plant-based dishes as medicine. Kenney earned two nominations as a Rising Star Chef in America from the James Beard Foundation and has been named one of America’s Best New Chefs by Food & Wine Magazine. As an EAT spokesperson on numerous talk shows and a frequent lecturer on the topic of food and health, Kenney discussed the importance of utilizing seasonal, local ingredients and fighting food waste. “Food improves one’s overall well-being,” said Kenney. 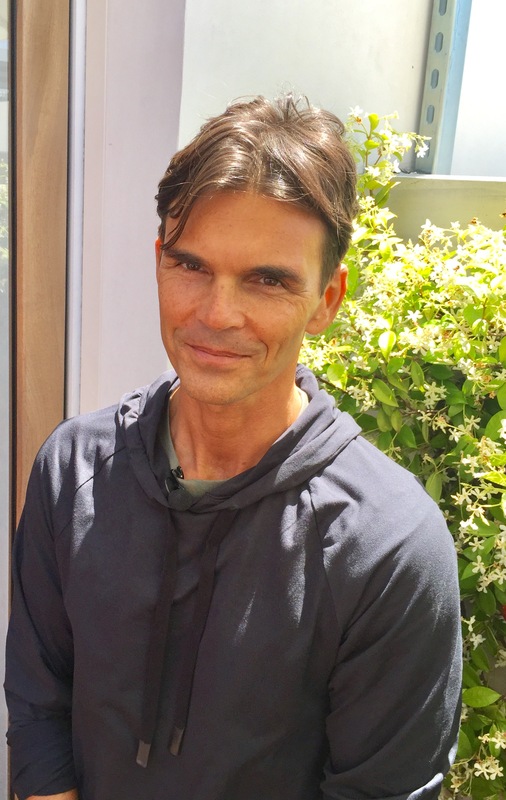 He makes a WELLTH sandwich at his restaurant Matthew Kenney NM, inside Neiman Marcus in Beverly Hills, using seasonal and local ingredients in all the dishes on his menu. Feng Shui Master Dana Claudat represented the RESTORE part of WELLTH. She believes people often get into wellness due to illness. In Beverly Hills everyone strives for excellence, “Beverly Hills offers a good energy vortex,” she says. “Art is a part of wellness and Beverly Hills offers famous street art, huge art galleries and visual inspiration everywhere.” She believes Feng Shui encourages WELLTH with restful sleep, positive energy, creativity, clarity, love and empowerment in your home and life. The EXPLORE pillar was explained by meditation master teacher Charlie Knoles. He has been meditating since the age of four. Knoles developed a curriculum that involves a deep immersion into Vedic culture in the Himalayan Mountains of India. His work as a meditation teacher has been featured in The Wall Street Journal, The New York Times, Well+Good and mindbodygreen. Knoles taught the audience to breathe in for three seconds and breathe out for six seconds every morning, in the car or even in an elevator. “Get out and explore. Walking is a form of meditation,” he said. The last speaker was Christie Brinkley, the ultimate WELLTH ambassador. A vegetarian since the age of 14, this 63-year-old recently posed in a fabulous swimsuit with daughters Alexa and Sailor for Sports Illustrated. In person she looks younger than most 40-year-olds. We learned that her children are her top priority and that she schedules work around their schedule. Beverly Hills is one of her favorite cities to visit, and hiking in the hill is her Nirvana. After her parents passed away, health became even more important to Christie. “I want to be able to ski with my children and keep up with them,” said Brinkley. Her secrets? Eat colorful food, be grateful.”It’s the key to a happy life.” And stay active. “You will rust if you don’t keep moving,” she firmly believes. Brinkley enjoys hiking, yoga, her Total Gym system, swimming, running along a beach, playing tennis and stand-up paddle boarding. “Variety of movement is the spice of life,” she says. The City of Beverly Hills is offering WELLTH specials and packages at hotels across the city, with room and spa packages. These include: The Beverly Hills Hotel, The Beverly Hilton, Beverly Wilshire (A Four Seasons hotel), Luxe Rodeo Drive Hotel, Montage Beverly Hills, The Peninsula Beverly Hills, SIXTY Beverly Hills, Viceroy L’Ermitage Beverly Hills and Waldorf Astoria Beverly Hills. Terms and conditions apply, visit lovebeverlyhills.com/wellth for details and booking contact for all packages.